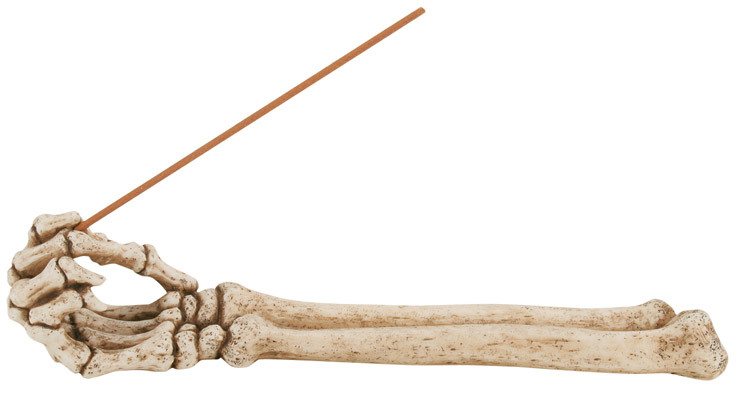 This is a really different incense burner. Put it next to one of our great skulls and really turn some heads. This is a 10 inch long burner made of cold, cast resin and is hand painted.